Mohamed Salah admits he's enjoying being back among the Liverpool squad as he and his teammates ready themselves for the challenge of trying to better last season's performance. The Egyptian returned to training last Friday at Melwood – and typically marked his first pre-season appearance with a goal when he came off the bench to score against Manchester City after just 52 seconds on Wednesday. It was a sight that was witnessed no fewer than 44 times last term as Salah enjoyed an award-laden debut season with the Reds. And as he prepares to head into the new campaign with Liverpool, the 26-year-old is not concerning himself with the notion there is any added pressure on his shoulders this time around. 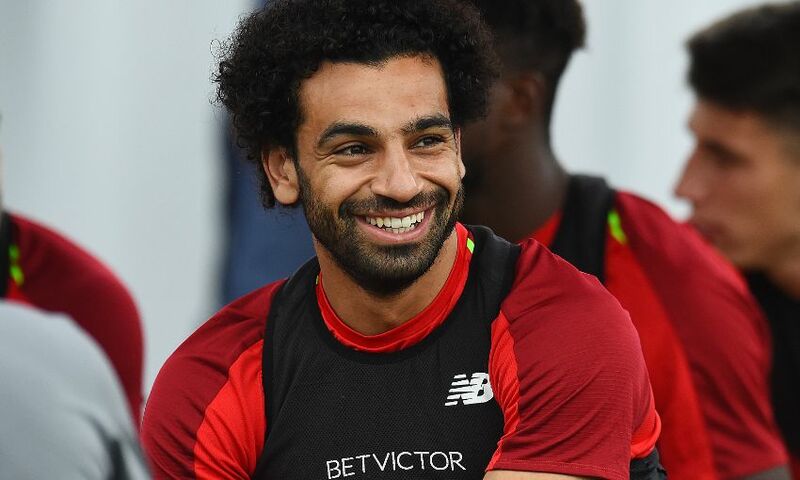 Speaking during a live broadcast on LFC’s official social channels following a training session in Michigan, Salah said: “I am very happy to be back. I feel good and my shoulder is much better. I’m very happy to be back in the squad. “Last year I had a great season – everyone, not just me. When people talk about myself, yes there is some pressure because it was a record [goals scored in the Premier League] and we also have to improve [again] in the Champions League and finish in a better position in the Premier League. Salah’s quest to improve on an exceptional season will be aided by the arrival of four new teammates, including Naby Keita – and the midfielder has already caught the eye of the PFA Player of the Year. “In training sessions, he is amazing – and also in the games he played, he played very well and everyone is talking good about him,” said Salah. Since arriving in the United States with his teammates last Saturday, Salah has been one of the main attractions of Liverpool’s journey to Charlotte, New Jersey and, currently, Michigan. Among the Reds jerseys on show, there are also plenty of Egyptian national team ones, too. “The atmosphere in the last game was very good,” Salah remarked, referencing the reception he was given as he signed countless autographs post-match at the MetLife Stadium on Wednesday.